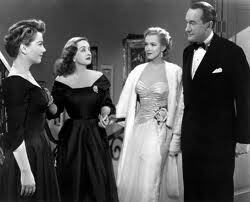 I really enjoyed All About Eve, the 1950 drama featuring Bette Davis. I’d never seen the film, or any Bette Davis film for that matter, and it’s easy to see why the film won so many awards and why Bette Davis is so lauded. The film tells the story of Eve Harrington, a young aspiring actress who weaves her way into the inner lives of her idol Margot Channing (played by Davis). Eve initially seems to be benevolent and simply starry-eyed, but over time we learn she is conniving and ambitious to a fault and that it was no accident that she forced her way into the lives of Channing and the other Broadway insiders. All About Eve won the Academy Award for Best Picture in 1951 and it was well deserved. The story is about fame, ambition, jealousy and the nature of people. And while the film is “all about Eve” it’s really just as much about Channing, who is trying to find her way as an “older” actress now that she has hit the big 4-0. Channing is struggling with aging in a young woman’s world, and even worries that her younger boyfriend will leave her for a new model. But as the film moves on and she begins to see the “real” Eve she learns that she has true friendships and the love of her boyfriend and that no matter what Eve does she will always have that. 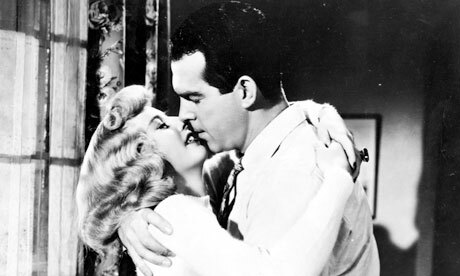 After seeing the film I can’t believe Davis didn’t win the Best ACtress honor, but it’s quite possible the votes were split between her and Anne Baxter who played Eve thus handing the Oscar to Judy Holliday in Born Yesterday.